The ministry of oil organized a celebration in coordination with the United States Agency for International Development (USAID) for the accomplishment of the project TARABUT. The two parties discussed during the celebration about the unique steps which was applied on the projects modules which was chosen within the application project and the achieved results. Mr. Fayadh H. Niema the senior deputy minister of oil said in his speech during the celebration that the ministry of oil is going on to raise the oil production levels and this project is considered as a great accomplishment made by the ministry, which proves its keenness & seriousness in the administrative reform by depending on the modern systems which shortens the costs and time as well as shows the positive aspects of the work transparently. He said also "the positive effect of the project was clear during the reviewing of the performance of the oil companies which are covered by the project. And said "we also hopes to complete all the steps related with the project to elevate the level of performance which are reflected positively on the production". The inspector general of the ministry praised the achievements of this project and confirmed his support according to the authorizations that he have to give the recommendations according to the ministry`s procedures. He said also that this project achieves the necessary development for the general contracting system (standard supplies) according to the Iraqi rules & legislations. It also depend the new systems. Mrs. Zahra Hussain The director general of the government contracts directorate in the ministry of planning said that her ministry spent big efforts to supply the electronic bag of the international contracting according to the standards of the contracting and by coordination with the ministry of oil under the project "Tarabut" which is considered as one of the modern programs depended by the global companies. She said also that this project represents the result of the mutual cooperation with the Iraqi administrative reform project "Tarabut" which is related to the (USAID). Mr. Nail Shbaro the project manager said that the project was a great accomplishment for the ministry of oil by applying the global systems in its projects management to build the new system which can be used in the future plans. And this project is compatible with all the international standards. He said also that the performance of the ministry was great especially its five oil companies which the project was applied above them. He said also "we hope to extend this project on the other oil companies". Mr. Assim Jihad the spokesman of the ministry said that the project depends on the newest and most developed programs to manage the oil projects of the ministry professionally & precisely because it depends on the planning, the scheduling and the step follow-up of the projects application. It also provides the possibility of monitoring & control on the costs, as well as following up the steps of the project`s progress. 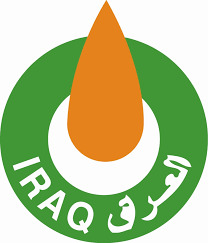 And this activity reflects the keenness of the ministry to keep up with the technical development of the administration and application of the projects to develop the work and achieve an income which can effect positively on the performance of the ministry especially in raising the production and developing the oil fields. The ministry have also prepared a specialized staff to manage these projects and training them by giving them some specialized courses by cooperation with the "Tarabut" project management. It is worthy to mention that Mrs. Zahra Hussain gave the shield of excellence to the senior deputy minister of oil. While Mr. Nail Shbaro gave him another shield of excellence during the celebration.